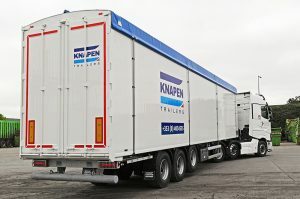 Knapen Trailers has appointed Setanta Vehicle Sales Ltd., as its dealer for the Republic of Ireland, as part of its growing network across Europe. Established in 2007, Setanta Vehicle Sales Ltd. is now the new sales, repairs and aftermarket operations main dealer for Knapen Trailers. 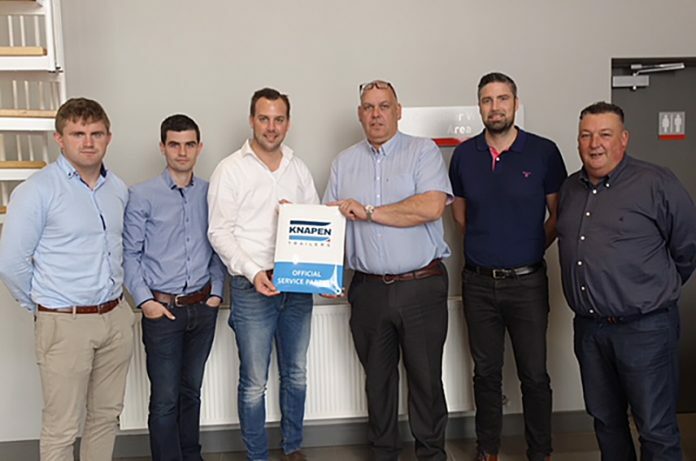 The sales team as well as the technical staff at Setanta have been professionally trained by Knapen Trailers, with the first units having already been sold. A number of Knapen moving floor trailers are now in stock at Setanta’s Long Mile Road headquarters in order to supply customers quickly. A broad selection of spare parts and components are in stock to minimalise down time. Besides new trailer sales, Setanta is also in a position to hire out a Knapen trailer or supply a quality used one.